- Virtual COM-port, speed 9600, 19200, 38400, 56800 of 115200 Baud. - Interface for R-BUS feedback modules. - Interface for ROCO Boosters, e.g. the MultiMaus boosters 10764 lan as a booster together with the DR5000! - Interface for Lenz-RS-Bus feedback modules. - Interface for DR502xEXT modules (bi-directioneel). - DCC rail-output. Max 19V/3.2Amp. Lower voltages by other power supply. Min 14V. - DCC programming output. Max 19V/800mA. Automatically switches from Track-Out to Program mode so the programming rail can also be used. - 100baseT Ethernet. Can be connected to a local network via DHCP. - bgn Wireless network via internal antenna. - The WiFi / LAN module can serve as an AP (access point) as well as a router between the DR5000 and WiFi home network (LAN). - IR receiver compatible with Uhlenbrock IRIS and Piko DigiFern (or other RC5/36Khz remotecontrols). - 4 channels, per channel directly to be controlled/switched, 1 lok and 4 switches. 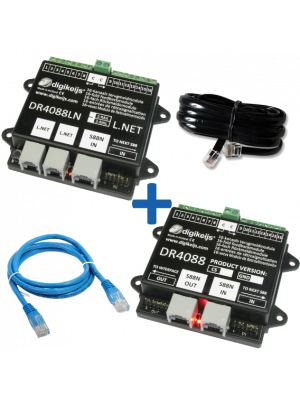 the DR502xEXT modules or via the USB/LAN/Wifi interfaces. - Load: Ouput load. Intensity is increased with the load. - RX: Data is received from the computer. - RX: Valid IR data is being received. - RX: Data is being received from the X-BUS. - The signals to Track-Out and the booster connection are off. - The signals to Track-Out and the booster connection are ON. Intensity increases with the number of active inputs. - Active: The Wifi Network is active. 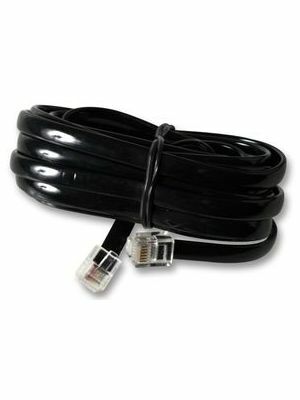 - Link: The LAN is connected and connected to a switch / hub / router. - Status: The internal router is active. - 2048 feedback, which is the total of all possible buses. - All protocols are translated to the DR.Cmd internal protocol. Every Bus/Connection receives specific and relevant data from the internal protocol. Ordered before 16:00 and your order will be shipped the same day! All products carry 24 months warranty! Get all the latest information on products, sales and events.